A vacant building in downtown Brandon collapsed unexpectedly early Tuesday morning. 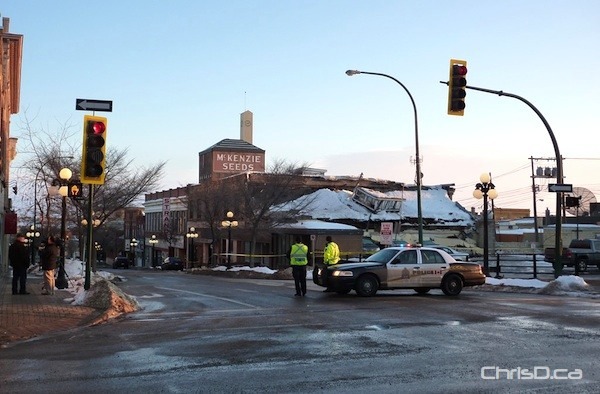 The old Thunderbird Bowl building on 10th Street reportedly collapsed under the heavy weight of snow on its roof. A line of cars could be seen directly under the building, covered in debris from the collapse. Brandon police roped off a large perimeter around the structure to prevent anyone from geting close to the scene.